Healthcare Special Interest Group – The Implementation of “Digital” Into Your Overall Marketing Strategy. Marketing in Healthcare is a strong topic of interest! Join us for a detailed panel discussion with marketing leaders within the healthcare industry as they share unique perspectives and insight on how their organizations are implementing digital into marketing strategies. What digital strategies are being utilized and implemented? How is “digital” being integrated into the overall marketing mix? How can digital implementation help my practice / my organization? How to determine a successful digital implementation. Who Should Attend:Marketing communication, and social media executives, professionals, directors and managers who work or do business within the healthcare marketplace, and anyone seeking more knowledge on implementing “digital” into their marketing strategy should attend. 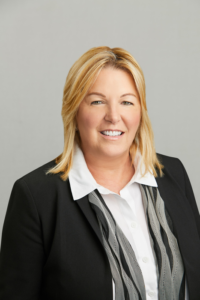 Mrs. Fine brings more than 25 years of success in building growth strategies for mid-size companies to her role as Vice President of Marketing for U.S. Oral Surgery Management. A seasoned senior executive, Lisa has expertise in developing marketing strategies and brands, as well as creating go-to-market plans for a myriad of healthcare organizations and healthcare related services. Prior to joining U.S. Oral Surgery Management, Lisa was a Chief Marketing Officer for a management consulting firm, Chief Outsiders and a senior consultant and President of FINE Marketing Solutions focusing on accelerating new business growth for her clients. 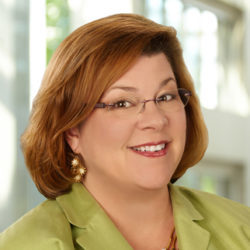 Lisa is an active member of the Society for Healthcare Strategy & Market Development, National Association of Professional Women, and the Program Chair of the Executive Healthcare Network DFW. 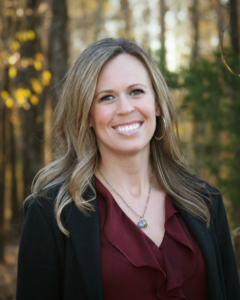 Melissa Humphrey is the Vice President of Marketing at Signify Health, a Dallas-based healthcare company whose mission is to improve quality of life by providing comprehensive care where and when it’s needed most. Her 14 years in healthcare marketing include working with health plan, hospital and provider group markets in organizations of all sizes and types, including mergers and start-ups. Her special interests include account-based marketing, brand development, product marketing, consumer behavior, and marketing’s role in corporate culture. Melissa holds a BBA in Marketing from the University of Houston-Downtown. Outside of the office, she enjoys spending time with her family and watching her two boys play baseball. Dean Lampman is Digital Operations Director in the Office of Science Operations at the American Heart Association (AHA). He is responsible for Professional Heart Daily, the AHA’s award-winning website serving cardiovascular and stroke professionals, and Science News, a newsletter targeting that same audience. Prior to joining the AHA two years ago, he worked in digital operations and marketing and communications roles for prominent healthcare organizations in North Texas, including NTSP, Tarrant County Public Health and Vizient (formerly VHA). He is a Distinguished Toastmaster who holds an MBA in Marketing from the University of Dallas and a bachelor’s degree in Journalism from the University of Missouri. Darin Szilagyi, FACHE, APR is a twenty-year marketing leader. He joined the healthcare industry 14 years ago, after a successful career leading the marketing activities for AT&T Wireless’ Texas and Louisiana operations. During his eight-year tenure at Memorial Hermann, Darin led System and campus-level service line growth initiatives. In 2011 he joined Trinity Mother Frances Hospitals & Clinics as their Chief Marketing and Strategy Officer, taking on the leadership of the organization’s marketing, business development, PR, strategic planning and system access functions for its six hospitals, 36 Clinic locations, and over 500 employed caregivers. He successfully guided TMF’s strategic partnering process, culminating in the merger of CHRISTUS Health and TMF. Today, Darin is entering his third year as the Vice President of Marketing and Public Relations at Methodist Health System in Dallas Texas. 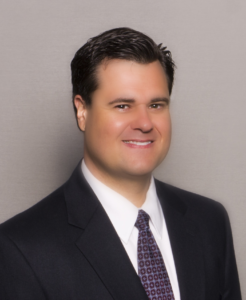 Darin earned his undergraduate degree from the University of Texas at Austin in Economics and Public Affairs. He went on to earn a Masters of Business Administration from the M.J. Neeley School of Business at Texas Christian University. He is a Fellow of the American College of Healthcare Executives, a Texas Hospital Association Leadership Fellow, a Certified Healthcare Financial Professional & a Certified Specialist in Business Intelligence by the Healthcare Financial Management Association, and Accredited in Public Relations by the Public Relations Society of America. 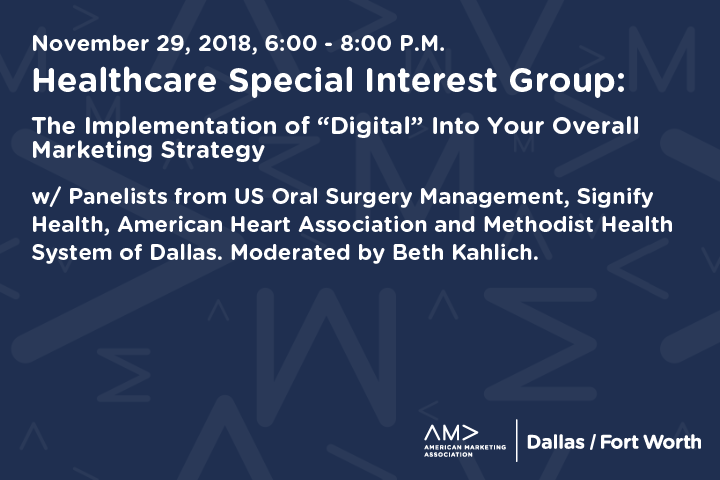 Beth Kahlich currently serves as the President of DFWSEM, one of the longest-running digital marketing associations in the US, and organizer of the State of Search Conference. She is the Digital Marketing Manager at Compass Professional Health Services, an Alight Company. Beth founded Search Engine Academy Texas and has more than 25 years experience in marketing and technology. She has been a frequent speaker at local and national events such as DFWSEM, Rocks Digital Conference, Local U, and various regional events. Previously, Beth was the SEO instructor at SMU Continuing and Professional Education (CAPE).